You can read all about it in the Mirror newspaper. Jamie is brilliant and I am so glad it was him that surprised me. It was all filmed as well so you will see how surprised I was. ITV came to film at Mary's Meals and at my house but I thought it was for a documentary and I didn't know anything about the Pride of Britain awards. 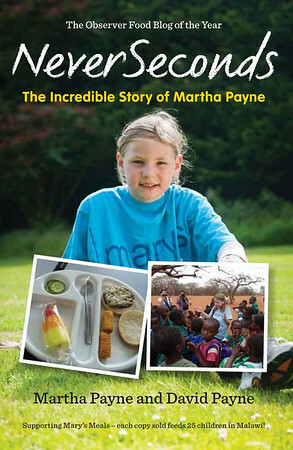 I have been quietly busy helping Mary's Meals and school dinners all year. There's lots going on. Mary's Meals is feeding more and more children a free school meal every day. I can't wait until we can say we're helping 1 million children a day! In England children will get a free school meal starting next September for their first three years at school. What a difference that will make. I am waiting to hear what will happen in Scotland. I hope it will be just as good and maybe better than England. There is so much you can do in a school with a great school dinner. I am looking forward to London at the weekend. I think it will be good for Mary's Meals and school dinners. My whole family is coming. I know my family are proud of me but it is amazing that Jamie and the Pride of Britain Awards are as well and that has made me smile. I will tell people about everyone that has supported me and about the children we have helped. 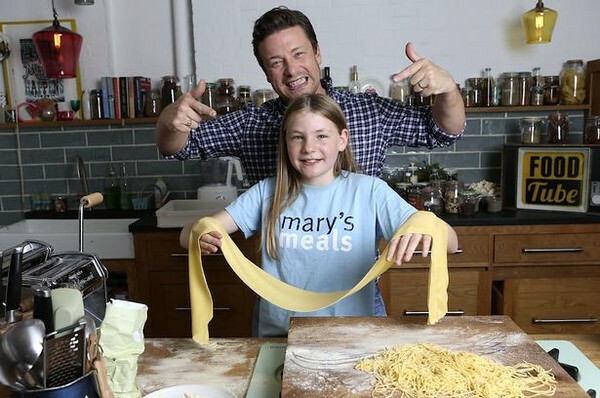 If you watch the programme on Tuesday, ITV 8pm, you will see me say thank you and I mean it for everyone that has helped raise so much for Mary's Meals.